Have you ever had a dream that you wanted so badly that you worked tirelessly to make it happen? Has it ever not worked out the way you hoped? What did you do then? This episode’s guest, Carrie Severson, has one of those dreams. You’ll be inspired to learn what she’s doing because her dream has not happened as planned. Four years. 80 rejections. How would you handle that? As a journalist and author, rejection comes with the territory, but 80? How do you not lose your motivation to make your dream come true? 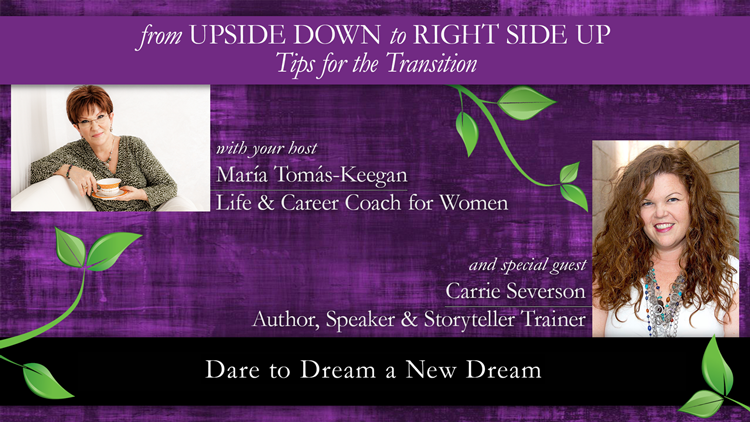 Carrie shares her story and what keeps her dream alive—she just has to allow it to happen differently. I encourage you to watch as she unveils her story, the emotional roller coaster ride and the gems she has learned from the journey.